Got some earlier this week. Really like them. Loaded up some laddered loads and chrono'd them today... 3.0 to 3.8gr of Tightgroup. 3.2gr @ OAL of 1.13 shot the best. Made 130 power factor. Cycled well in my CZ SP-01. Nice grouping at 25 yards. Pretty soft shooting too. I also liked 3.0gr... soft like a bunny fart but it doesn't make minor. These shot better than the Blue Bullets and BBI I have tried. The coating seemed nicer too. Didn't give off that funky, burning plastic smell. And the weight of the bullets are much more consistent. Actually run a little heavier at 135.5 to 136 grains but consistent. BB and BBI seemed to have more variability. Best of all, they run about 6.5 cent per with the 15% off coupon code AP15. I am currently running Bayou Bullets 135. Slightly different profile, but it appears to be the same coating (hi-tek). Made minor pf comfortably at the Roadrunner Shootout over 3.8 grains of Universal in 4.25" barrel. I've tried a couple of other types of coating from other bullet makers and I would agree that hi-tek doesn't smell as bad. 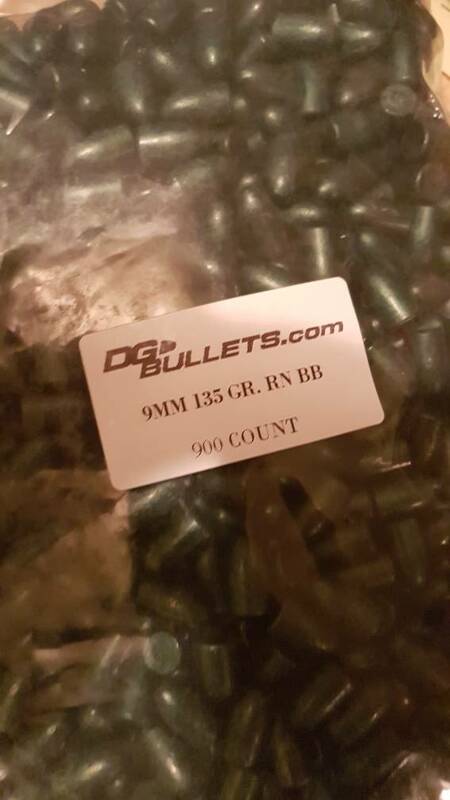 15% is a solid discount considering how much of the of the cost of a handloaded round ends up coming from the bullet. I haven't tried Bayou but have read good things about them. I ended up ordering a case of 3400 of the DGs for $216 shipped. So I'm good for a bit. 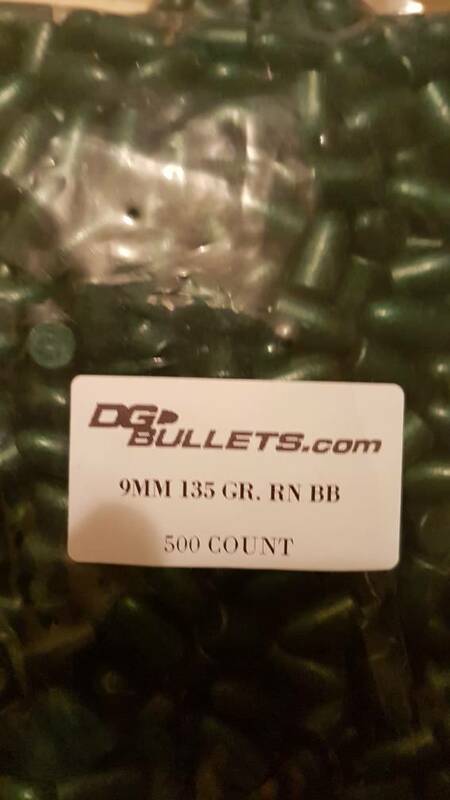 I've shot around 12000 Acme 135gr RN coated boolets. I love them. My load; Mixed Brass, 3.6gr VV N320 with a 1.115 COL, Win or Fed SPP... 130ish PF. If you want change you have to put in your 2 cents, you can't just sit on the sidelines and whine. cuban did you get a 650?or 550? You mean quantity I ordered? I actually bought a case. 3400 total. Shipped in 5 x 500 count bags and 1 x 900 count bag. Very nicely packed. I think he means a dillon. Haha. DOH. That makes way more sense. Actually, I didn't get either. I ended up getting the Hornady Lock n Load Auto Progressive. Very happy with it. I got a pretty nice deal on one. Very happy with it so far. I have already cranked out about 1200 rounds out of it. yeah that's what I ment glad you got a progressive, Let this libs you are progressive LOL.